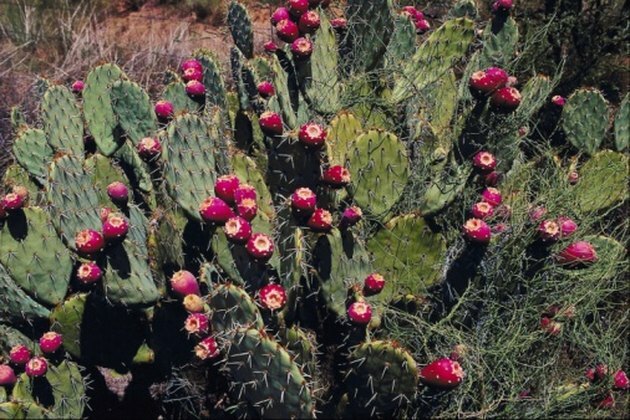 The prickly pear cactus guards its fruit well with long, sharp spines. The fruit itself also has smaller spines, called glochids. Once you manage to harvest your fruit, you must remove the glochids and the skin prior to using or freezing it. 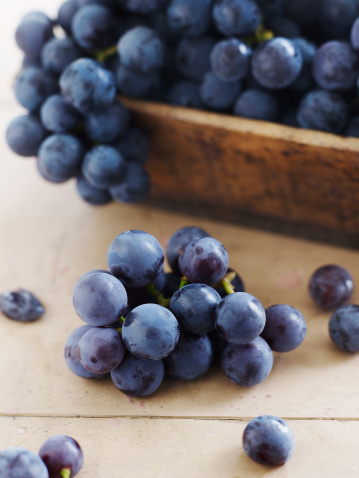 You can also juice prickly pear fruit, or freeze the juice in ice cube trays. Before juicing your prickly pear fruit, allow it to freeze and then thaw, which will soften the fruit and encourage the juice to emerge from the fruit. Prickly pear fruit turns a vibrant red as it ripens. Hold the cactus fruit with a pair of tongs and use a knife to scrape away the spines. Peel the skin off with the knife. Rinse each fruit and shake off the excess water. Place the fruit in a freezer bag and seal the bag. Place the bag in your freezer for two to three days. Place a colander on top of a bowl and place the prickly pear fruit inside the colander. Allow the fruit to thaw. Press the fruit gently with a potato masher so that the juice flows into the bowl. Drink your prickly pear juice right away, or pour it into ice cube trays and refreeze the fruit. Use frozen prickly pear ice cubes in your cold beverages.